On this page you will find the latest products. 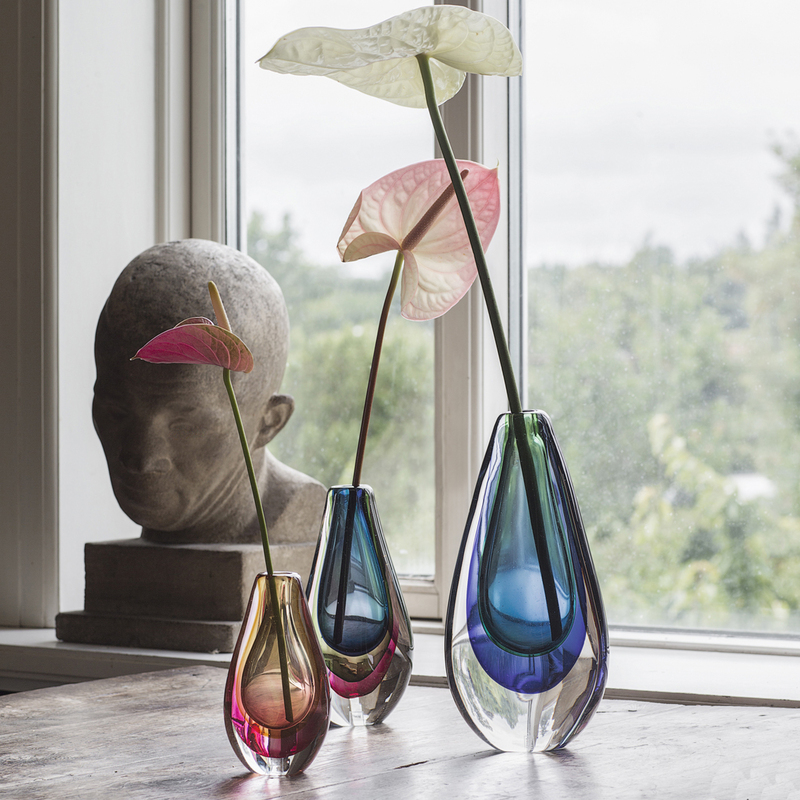 Mouthblown vases. Each vase is unique with small variations in the size of the color areas. 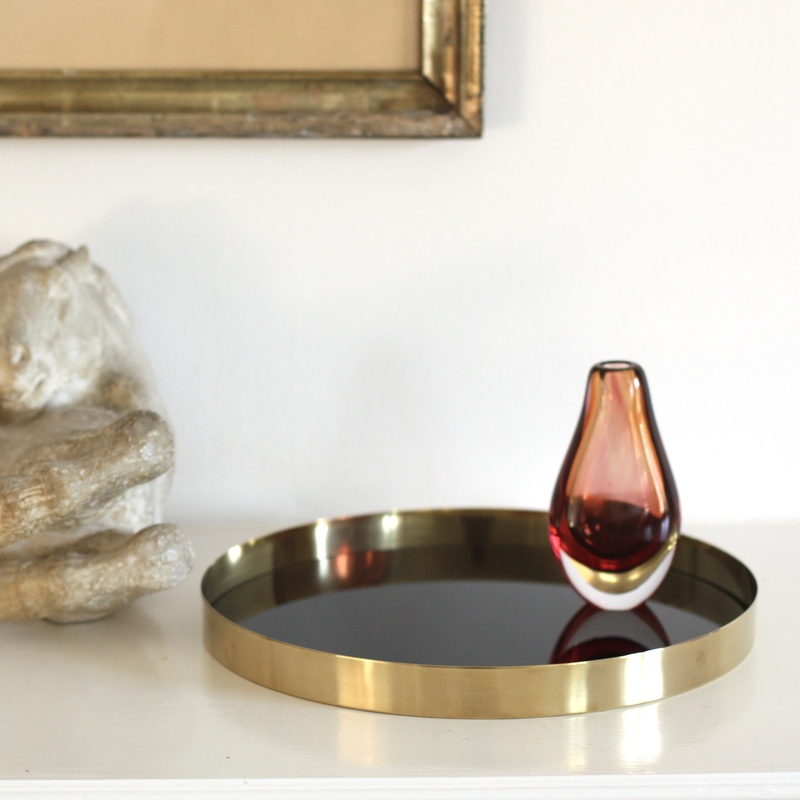 The brass trays can be purchased with a glass bottom in black or white. With a mirror bottom or without.